For a country to prosper it is absolutely necessary that its small and medium size businesses thrive without any government support. It is always better to become an entrepreneur rather than staying content with a regular 9 to 5 job. Today more and more people are looking for starting their own business instead of working for a company. Individuals who want to start their own business must read the following article to know Business Ideas that they can start with an investment of Rs 1 Lakh. It really doesn’t matter what educational qualification you have or whether you are currently employed or unemployed. Anyone with Rs 1 Lakh in their hand can start one of the following 20 businesses mentioned below. You can choose anyone of them according to your expertise in a given field. Most easiest and profitable business to start is food truck. In India, Food Truck business is over $3 billion. You too can tap into it. You can easily start this business with an investment amount of Rs 1 lakh. Major chunk of your investment will go into getting licenses and permits. Other expenses like procuring raw material, manpower and commercial vehicle wouldn’t cost that much. You don’t have to buy a four wheeler as you can rent it. As far as manpower is concerned you and 2-3 members of your family would be enough. For raw materials you can tie up with a vendor for a discounted price. If you find food truck business bit difficult to get started then you can think of starting a food catering business. Here you just prepare various dishes on order and then deliver it to customers at their doorsteps. You don’t need a special license or permit like Food Truck business. However you do require a catering license. For occasions like marriage, birthday parties, anniversaries etc people will order main course dishes from you and you need to deliver them on time. To get started you just need a kitchen, raw materials, few staff members and a budget for marketing (like distributing pamphlets and sticking bills). Tiffin distribution service requires least amount of investment compared to Food truck and catering business. Utensils and Table Cloth etc, to get started. You don’t have to worry about the raw materials and cooking expenses because you deliver the Tiffin on other's behalf. This is very popular business ideas under 1 lakh. I don’t think you need anything extra to know about starting a tea stall, a snack joint or a fruit juice shop. Three important things to get started are following. The best part of this business is you don’t need any extra license. India’s milk industry stands at around Rs 5 lakh crores a year. You too can get a share of this pie. You can start a milk supply business in your neighborhood and earn a decent profit. Either you can acquire milk directly from a nearest dairy farm or you can tie up as a dealer with a milk processing company. You need to choose right kind of milk to supply. Regular pasteurized packet milk can give you the best profit margins. Then you have to find buyers. They can be local homes and various tea vendors in your area. You will require following things. Delivery Vehicle – For starting you can rent a three wheeler. Milk Coolers – Before acquiring in bulk you can buy one or two coolers. Tailoring and laundering business requires very low investment amount. For opening a tailoring shop you just need few sewing machines and a staff of 3 to 4 people. You can also launder and iron cloths. For laundering you can tie up with a DhobiGhat where clothes can be laundered in bulk for a cheaper rate. Tailoring and laundering business is very easy to get started. Newspaper Distribution business is a very profitable business because margins are really great. A newspaper vendor earns profit in two ways. 30% – 40% commission for per copy. For example, a Newspaper like Times of India worth Rs 7, you earn Rs 2 as commission. Extra money through paper insertion, for per 100 pamphlets inserted you earn Rs 18/- to Rs 20/-. As a newspaper vendor your role will be to collect newspapers from a depot early in the morning by paying cash upfront. If you want more than 4000 copies then you have to pay in advance. Delivery Boys – salary for a bunch of delivery boys. Transportation – Bicycle and Motorcycles. Another great business Idea is opening a Florist shop. Here in India, flowers are used not only to present or gift someone on special occasions but also used for religious purposes. Every home or office needs flowers to adorn their small temple inside. You can procure all kinds of flower from farmers/wholesale market for a cheaper price and sell it at a higher price to customers with a decent profit margin. Office repair services are in great need by various offices located in corporate hubs, business centers and small malls in any given cities. Licensed Application Software like MS Office, Antivirus Software etc. That’s it. You can get started now. You can also start office chair repair services with a very low investment. You need basic tools like needle nose pliers, pipe wrench, pry bar, mallet etc. Growing demand for Pest Controllers from homes and commercial buildings has made Pest control service a very lucrative business. If you are able to establish a client base then your business can thrive in a short period of time. Here are the following prerequisites. Business Registration: You have to register your business as any other business. License Required: A License for use of Restricted Insecticides for Commercial Operators from Central Insecticides Board. Tools: All you need chemicals, cages and net. Manpower: You need to hire few certified individuals. Advertisement: In starting, you got to advertise your business in local newspapers. If you live in Metropolitan cities with good contacts then you can definitely start your own Real Estate Brokerage agency. You earn money by charging each side, the landlord and the tenant. You basically set them up. You arrange a meeting with the landlord and the tenant, if they agree with each other then the deal is finalize. As a brokerage for rental (staying for rent) you get rent for one month and if it is outright (buying the apartment) then you get 2% of the amount from both sides. To get started you just need an office space and one or two guys for assistance. A marriage Bureau or agency is just like a Real Estate agency. Here instead of dealing landlords and tenants you deal with people who are seeking either a bride or a groom. You fix them up. Your contacts will help people to find their dream partners. And for that you charge a fee. Although online matrimonial sites are the first choice for partner seekers but offline marriage bureaus have carved out their own niche. Now days in cities both parents, father and mother are too busy and can’t look after their child on their own during day time. Hence, they need someone to not only take care of their child while they are out but also educate them. So Daycare is the best option for them. A license – You have to attend classes and get a certification for clearing final inspection. Tuition classes also known as coaching centers are very common all around the country. You can start taking classes for students who are studying in 10th through 10+2 class. You also prepare them for various competitive exams in your coaching center. Apart from regular courses you can also teach music, dance, acting, painting and other hobbies to students. Starting a tuition or hobby classes requires an office space for 20 to 30 students. Later on you can scale up your business and look out for a bigger space. Cricket coaching center can be a very lucrative business. However it is somewhat different than hobby classes. For many cricket is not just a hobby but a passion. If you live in a city like Mumbai or Delhi then you can think of starting a cricket coaching center where you can attract a lot of young cricketers from upper class background. However to start cricket coaching center you will not only need some cricketing background but also a large ground for playing. Money that you can earn is much greater than Tuition or hobby classes. You help people to organize their birthday parties and get-togethers smoothly. You arrive before the event and organize everything from arranging tables to decorating the walls with streamers to handling caterers and photographers. You just need an office and advertising to get started with this business. If you come from Health and fitness background then you can offer dietary consultation to clients offline as well as online. However, you have to establish yourself first and find new clients for your business. You consult them for proper diet and nutrition that they need for staying in great shape. The best part of this business is you can consult your clients online through Skype or Google hang-out without meeting them. If you have worked for MNCs then you would definitely know the importance of hiring right kind of employees. As a HR (Human Resource) firm you can tie up with various MNC’s and help them recruiting right kind of employees with necessary skill sets. You get a commission upon each hiring done by the company. To start a HR business you don’t need much, just an office space and a budget for advertising in various newspapers. In this article business Ideas are not just offline but online also. If you want to start a business online with an investment of Rs 1 Lakh then you can start giving freelance services. 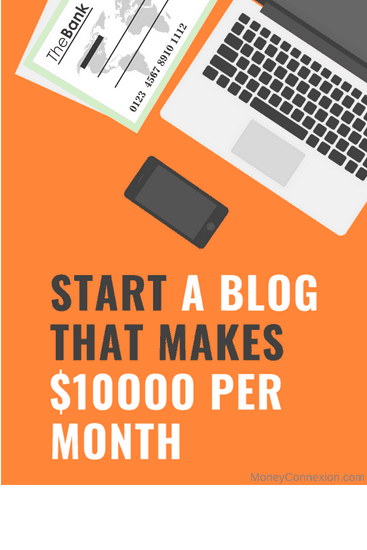 The best one is freelance writing for others. Similarly you can design a website or create a logo or fix someone’s problem online. You don’t require any other type of investment except a computer with an Internet. SEO (Search Engine Optimization) services are the most popular and profitable business to start if you are coming from online marketing background. Digital marketers can offer SEO services to their clients by helping them to rank their website high on the Google Search page and earn huge amount of money quickly. However, a good SEO expert has to know every aspect of the SEO techniques for delivering desired services to their clients. 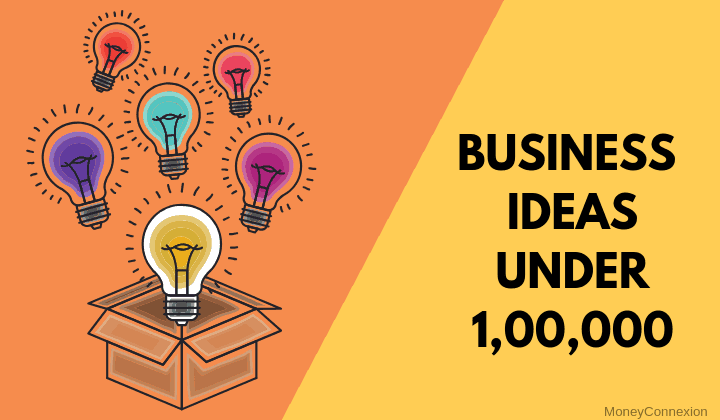 So these were 20 business Ideas you can start with a minimum investment of Rs 1 lakh. Once again I’m reiterating that you should a business according to your experience in a given line of work. Hii Everyone I want start my own business any one has a good idea so pls share and help me. I want to start transport business any has much knowledge about it so pls let me know how can i start??? I have a shop on highway . Can any one suggest me which business have to be start in 1 lakh. I Am From Ahmedabad, I Want To Start business in electronics & communication field , i have 3 lakh down payment . my request to you to give me the best Ideas to start the business in my budget. guys i have a experience in hotel industries i can help you in start a restaurant buisness i can setup your staff and restaurant i will charge 1 lakh rupees for a start up of your buisness and all staff will be trained under me i have done hotel management from jindal school of hotel management. and i am sure your buisness will run properly. Hi friends, you can contact me for free consultation to start a business from 1 lakh onwards. Mobile 7887 4499 42 , on WhatsApp too. Sir I want safe investment for 1 lakh plz suggest me? I am from Varanasi.. Ramnagar area.. I am Dairy Technocrats Professional. I have 20 years of experience in Dairy business..If anyone interested in Dairy Plant Operation.he can contact me.. This is arindam,from kolkata,i have 1lakh ,i want to start a business,what would be best?also i have a plan to start a online web service like olx.what will b require for that? Hiiii I can help you out for starting business. You can contact with job consultants and after that make a yourself page or advertise that consultancy company amogest your circle through which you can earn money ?… For further information contact me. ?? Brother you can invest your money in mutual fund or a small business about which you are passionate. And you can read a books which gives you a ideas or certain ways to work. I recommended to you read books like 100$ startup, Rich dad poor dad, Zero to one, Think and Grow rich, How to talk to anyone and Will it fly etc. these books are awesome bro after reading all these books and follow its rules you will definitely get an ideas and successful tricks in business. You don’t need English as a language to sell n market.. you need a strategy to market your products..
sir, I want to know about water harvesting and more about water for starting business. Hi dheeraj, in any business in india language is not a problem. u have opened a clothing shop may be ladies or gents or cut piece centre.. if the customer talk with u in english just you watch his or body language ,what ur customers wanting. to handle those customer naturrally u will learn and speak…..so dont woory my brother. if any problem arise just u call me over telephone, and hand over the phone to ur customers. i will discuss, accordingly i will inform u…. dont tensed…..subhas banerjee. 9903904822…. I am Mukund Temghare. I want to start my own business . I have 2 lokh rupees. What kind of jab can i start with this. Please guide me. I am retired person (Voluntary retirement) residing in Hyderabad.I can invest upto 2 or 3 lacs.Please give me some business ideas. sir my name hapuram bishnoi from rajsthan Distt. nuh i have 1 lakh rupee i want started bussniss ihave no experiance plz give me advise.